COME SEE US AT FAN EXPO 2012! In Toronto? Heading to Fan Expo Canada 2012? COME TO OUR TABLE! We’ll be at Booth 1215, offering some fantastic deals on the best of the best figures and collectibles. Everything from The Avengers to Portal 2, from Batman to Transformers, from GI Joe to Masters of the Universe. If you’re a fan–and we know you are– you should definitely stop by and pick something up. We’ll be set up every day, Thursday through Sunday. Introduce yourself and we will give you some candy! Yes, sweet, sweet candy. 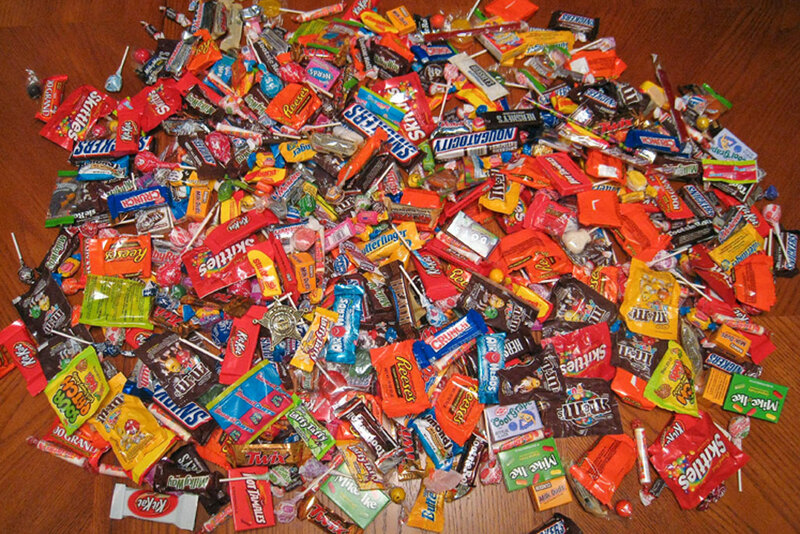 Forget what your parents said about strangers giving you candy. We’re not strangers! See you there! On a side note, if you placed an online order from August 21st to 26th, your order will only be processed and shipped out on Monday, August 27th when we return from the show. If you have any email question, we will be answering them after the show closes each night. Don’t worry, we didn’t forget about you. A sepia-toned Ash recreates his look from the film’s close and he comes with a deluxe base available only in this set. The figure was created to commemorate the 25th Anniversary of the second movie (commence feeling ancient) and is a great find for any fan. Despite their popularity and massive critical acclaim, Vertigo characters don’t usually get their due as action figures, statues or any other such merch, but at this year’s San Diego Comic Con, you could at least get your hands on a brand new rendering of DEATH. Some envision Death as a grim reaper or dark angel to be feared. But as created by Neil Gaiman for DC Comics’ line of Vertigo comics, the Sandman`s older sister is pretty, perky and always gets the job done. She’s been around since the beginning of time and is exactly the kind of girl you’d want to follow into the unknown. Our 8” figure of Death wears her trademark ankh necklace and comes with a skull-themed display base. The dioramic window box packaging and separate shipper box are dressed with artwork commissioned by Vertigo artist Jill Thompson. The 2012 Canadian 80s Toy Expo will be April 1st, 2012 at the Sheraton Parkway Toronto North Hotel – 600 Highway 7 East, Richmond Hill, Ontario with free underground parking. Featuring Canada’s largest dealer room of vendors selling 80s related merchandise, former WWF Tag Team Champion Fred Ottman aka Tugboat/Typhoon/Shockmaster is scheduled to attend from 9:30 AM to 3 PM. Also available is an exclusive print by Matt Moylan who will be setup at the event selling prints and doing sketches for the attendees celebrating the 30th anniversary of the Masters of the Universe toy line. Additionally the 501st Canadian Garrison representing the Galactic Empire in the Star Wars universe will join the event for photo ops with attendees. The event features a huge selection of vintage 80s toys and all the latest releases from today such as Transformers (vintage and Japanese imports), Masters of the Universe (vintage and modern), Star Wars (new and vintage), GIJoe (vintage and modern), Super Heroes (Marvel Universe/Legends, DCUC etc), Wrestling, Thundercats and tons of other Action Figure lines and collectibles. For more information, visit http://www.80stoyexpo.com/ and you can RSVP to the 2012 Facebook event here. FAN EXPO CANADA™ 2012 is proud to announce Patrick Stewart as a headline guest. 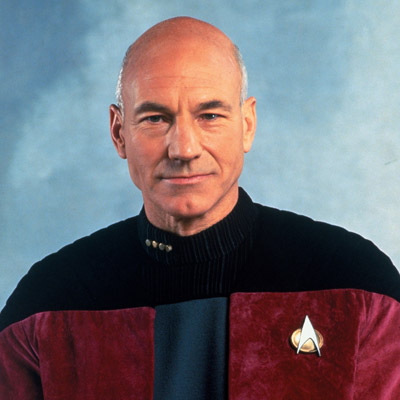 The English film, television and stage actor is most widely known for his television and film roles, such as Captain Jean-Luc Picard in Star Trek: The Next Generation and its successor films, Professor Charles Xavier in the X-Men film series, and as the voice of Director Bullock in American Dad!. We are petitioning the FanExpo crew to get the Greatest Musical performer of all time….it would be awesome if they got William Hung. Man, that guy can sing…. Hasbro’s Marvel Universe line expands at NYCC 2011–October 13-16 at the Javits Center–with the Marvel Universe Special Edition Compound Hulk figure. You can only get your hands on Compound Hulk, which was inspired by HULK #30 by Jeff Parker and Ed McGuinness at the NY Comic Con 2011. What’s more powerful than Hulk and Red Hulk? The two Hulks combined into Compound Hulk! This 3 3/4″ Marvel Universe figure recreates a memorable moment from this year’s HULK #30, when the two hulking enemies were combined into one red-and-green behemoth! The figure is based on the artwork of superstar artist Ed McGuinness, and his artwork adorns the special edition blister card and outer packaging of this one-of-a-kind figure!